EverEdge Classic range is available in Corten Steel – 1.5mm guage in 100mm depth and 125mm depth. Corten is a type of steel which is designed to weather naturally but not break down like regular steel. A layer of rust forms over the steel and protects the metal underneath from weathering. This outer layer keeps protecting the steel for many years. 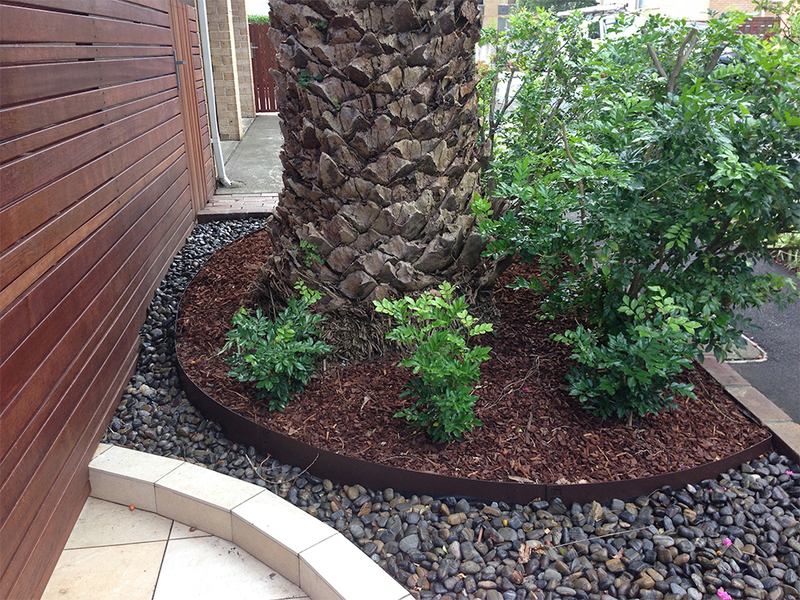 EverEdge Corten is a dull silver colour when first installed. The steel then forms its ‘rust finish’ over a period of about four weeks, depending on the humidity and rain or watering levels. 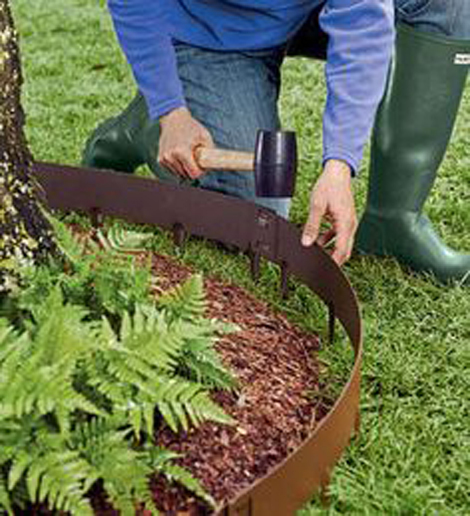 Just like the galvanised/power-coated range of EverEdge, Corten bends to virtually any shape, suits all soil types, is easy to install and will last for generations.